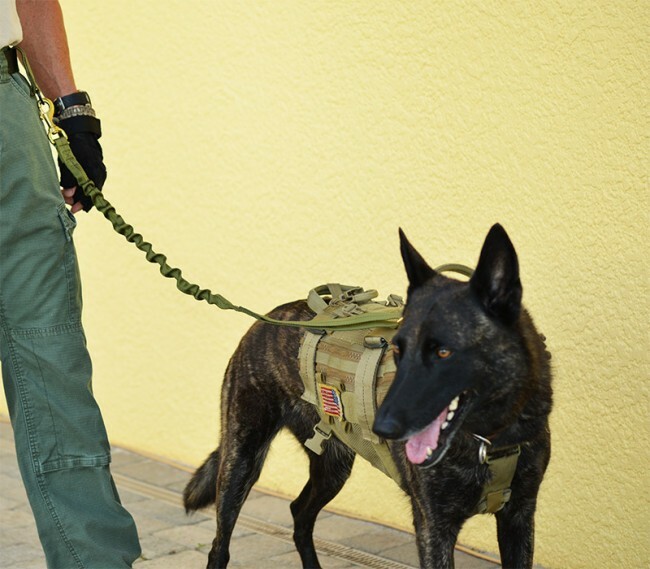 Tactical Lanyards provide an opportunity for K9 handlers to work with their K9s hands free. 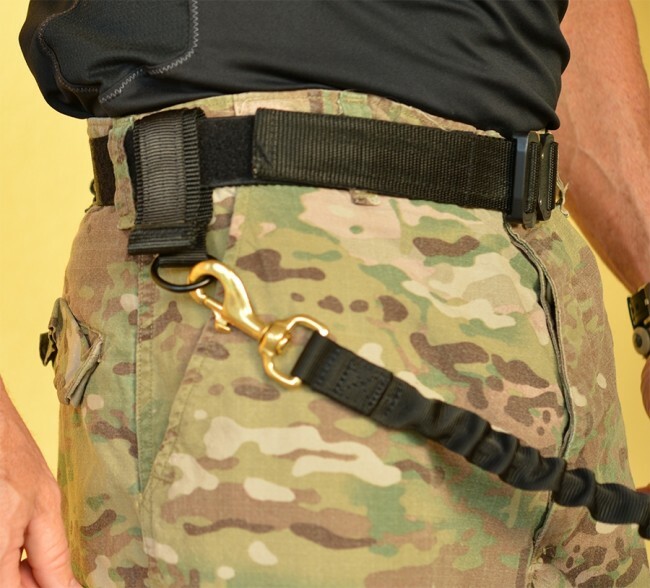 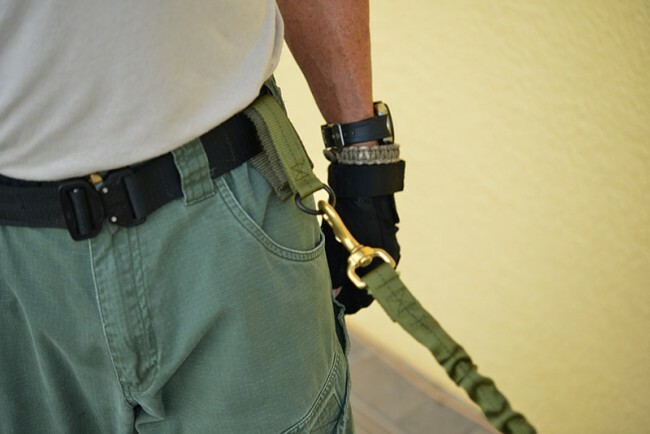 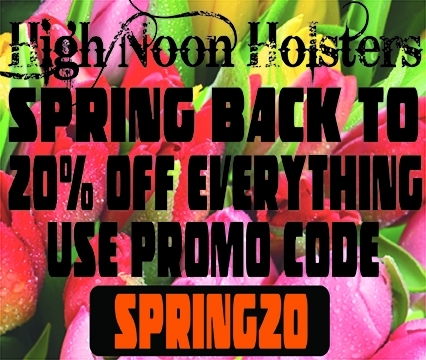 Our tactical lanyards mount to the handler’s belt and to the K9. 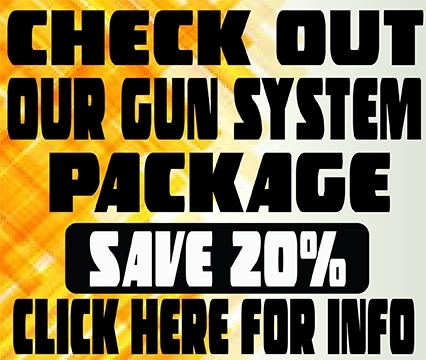 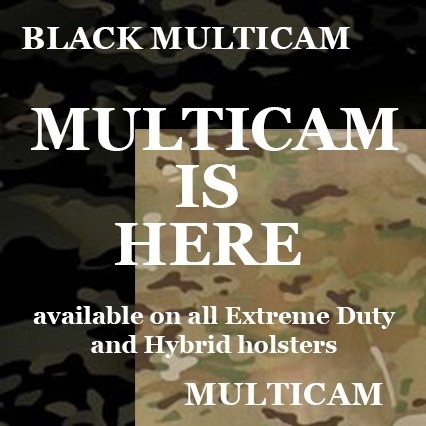 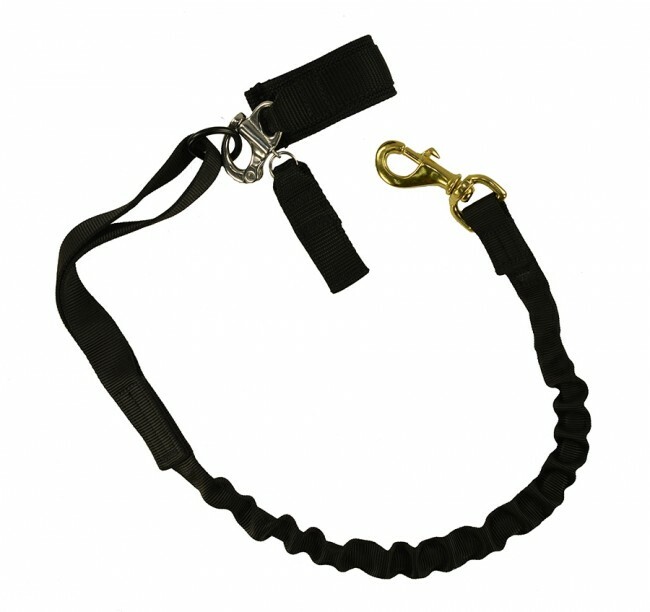 This allows the handler to operate hands free but maintains control of the K9 until the need to deploy your K9. 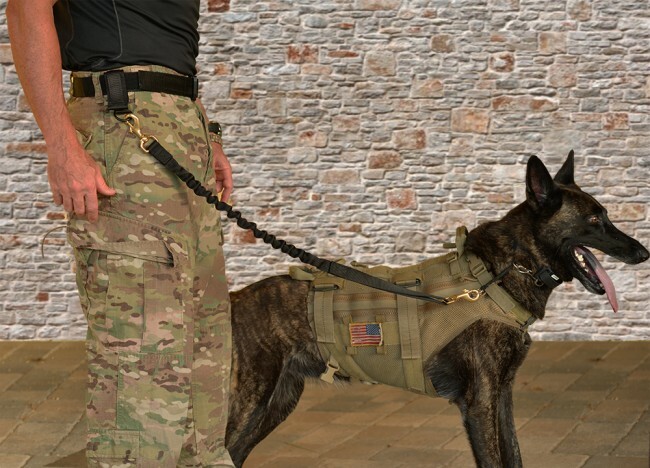 Our tactical lanyards provide a snap swivel to secure your K9 and your choice of a snap swivel or fixed snap shackle to secure the K9 at the belt mount for a quick release and deployment of your K9. 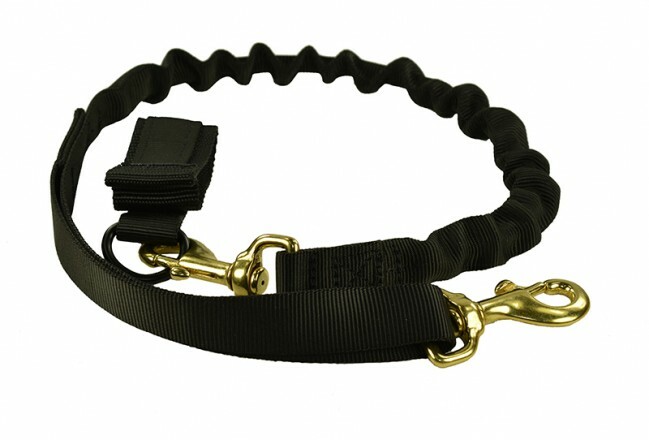 Our tactical Lanyard includes an internal bungee that provides a slight give while handling the K9 reducing potential stress on the K9’s neck or torso.